I'm only going to park for a short while, do I need to pay for parking? . 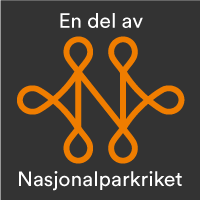 . .
No, you can drive all the way up to Gjendeosen and park there for up to two hours for free, provided you park in the indicated space and collect a ticket from the automatic parking meter. I have a parking permit for handicapped persons, where should I park then? . . .
Drive all the way up to Gjendeosen and park in a handicap parking space. Can I set up a tent or park my camper overnight in the car parks? . . .
No. All forms of overnight camping in the car parks are forbidden. There are several great camping sites in Sjodalen and in the direction of Beitostølen. How do I pay for parking? . . . There are automatic parking meters at both Reinsvangen and Gjendeosen. If you have a motorcycle, then you pay for parking in the kiosk. I have an electric car, is there a charging station? . . . I'm going to stay at the Gjendesheim Tourist Cabin, where can I park? . . .
Gjendesheim has its own guest car park, where you can stay as long as you are a guest at Gjendesheim. After checking out, you will have to move your car to one of our car parks. Do you run a bus service to the lower car park in the evening? . . . The buses run every hour and half-hour from 07.00 until 22.00. They also run from the quay when the boat arrives. Do I have to book a seat on the bus between Reinsvangen and Gjendeosen? . . .
No. The buses run every hour and half-hour from 07.00 until 22.00 during the season. The service is free for everyone and requires no advance booking. When does the Gjendebåten run? Where can I buy a ticket? . . . The boat timetable, tickets and information can be found at gjende.no. Everyone who has booked a place gets to go on the boat! You could by residual tickets in the kiosk. Is there a phone number to the car park? . . .
Where can I find the car park? . . .